Refugee admission has become a focal point of public concern due to the frequent news coverage surrounding border control and the politicization of humanitarian aid. Blamed for burdening the welfare state and threatening national security, refugee admission is challenged by Americans who question the net gains to citizens when resources are extended to foreign nationals in need. While the presence of refugees can have varying effects on political stability, the associated benefits of increased labor, entrepreneurship, and participation in the economy support the argument for border relaxation. The official United Nations definition of a refugee is “someone who has been forced to flee his or her country because of persecution, war, or violence.” In this article, “refugee” will always refer to this definition. Refugees and economic migrants (whether they immigrate through legal or illegal channels) pose different challenges for absorption, so for the sake of accuracy, only the former population will be discussed. Less than one percent of the world’s refugee population is resettled. Since the 1970s, the United States has been the leader in refugee resettlement. The current process is rigorous and time-intensive. 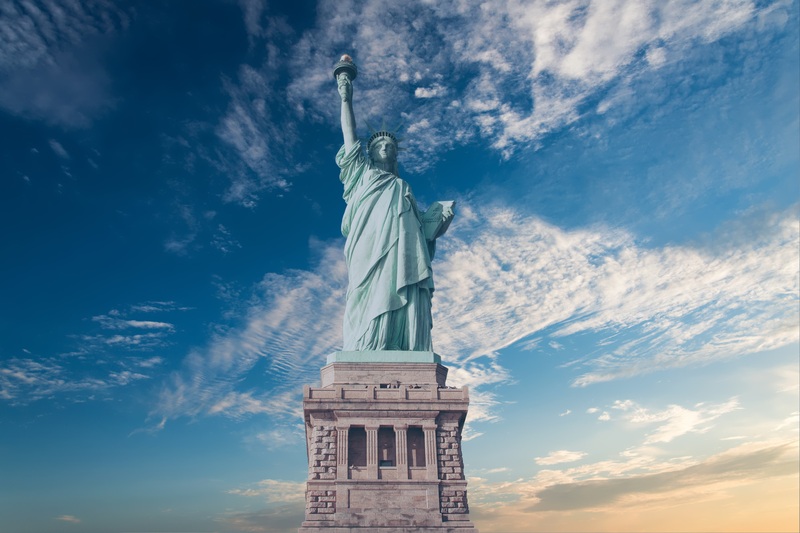 In order to be granted refugee status, one must submit to screening by eight federal agencies, pass six background checks, undergo a medical examination, and complete three in-person interviews with the Department of Homeland Security. The whole process can take between one and two years. In 1980, Congress passed the U.S. Refugee Act, which increased yearly quotas for refugees significantly. In the past 40 years, the number of refugees admitted to the U.S. has depended on the priorities of the administration as well as global politics; during periods of conflict and war, the numbers have risen. The lowest numbers of refugees admitted to the United States came directly after 9/11 based on the fear of terror attacks. Since the early 2000s, however, the overall trend has been upward as a result of a bipartisan commitment to the U.S. Resettlement Program. Under the current administration, however, refugee admission goals have decreased dramatically. In September 2017, President Trump announced that he would cap refugee admission to the U.S. for 2018 at 45,000–the lowest number since before 1980. For 2019, Secretary of State Mike Pomeo announced that the goal will decrease further to 30,000. For context, the refugee admissions goal is viewed by administrations as a ceiling, and as the fiscal year comes to a close, the United States will only have resettled about 20,000 refugees (less than half the target). Framing The Debate: Who’s Coming In? In the United States, the majority of refugees who enter are children who cannot contribute labor and do not have significant spending power. They do, however, require social services like education and health care, which can be costly. Refugee families, even ten years after resettlement, are more likely to receive cash assistance. While these children do not contribute immediately, statistics show the potential benefits of investing in families. As these children grow up, they are not only new additions to the labor force, but they are also more likely to create jobs for their neighbors, as refugees have a higher rate of entrepreneurship than non-refugee immigrants and native-born Americans. Refugees can also contribute meaningfully to the economy as taxpayers and as consumers. To address the scale of investment in refugees, it is important to note that the amount that the federal government spends on refugees (including food, shelter, clothing, and legal processing fees) does not take into account this taxpayer revenue. A study by the National Bureau of Economic Research found that each refugee who entered the U.S. as an adult payed on average $21,000 more in taxes than they ever received in welfare payments. Economic Implications: What Are Refugees Contributing? A study by OPEN, an international think tank, found that for every dollar the U.S. government spends on refugees, there can be a return of two dollars in the economy within five years. This study drew on the U.S. example of Vietnamese refugees from the 1970s and 1980s, tracing their employment rates and average incomes over the years. In this case, for example, public investment in these refugees led to increased labor supply in dangerous or unskilled fields in the short run and job creation from entrepreneurship in the long run. In fact, refugees often take jobs that most Americans do not want in fields such as maintenance and elder care. In addition, while new arrivals seek government assistance, refugees who are already integrated into the economy help cover these costs. Echoing their aforementioned tax contributions, a 2015 study done of 2.3 million American refugees showed that they contributed nearly $21 billion dollars in taxes. Based on average household income, refugees also had $56 billion left after taxes in spending power, which ostensibly benefited American enterprises. While the case in the United States provides some data which shows refugees are beneficial to the economy, international comparisons offer further points of analysis. According to several European studies, refugees tend to have small effects on wage depreciation for menial jobs and unemployment. In the United Kingdom, a ten-percentage-point rise in migrants working in unskilled fields caused only a 2% depression of wages in these areas. In a Danish study, researchers found that refugees did replace many low-skilled Danes in labor-intensive jobs. However, many of these individuals moved on to jobs that did not require as much manual labor, improving economic opportunities for locals overall by eventually filling vacancies. Applied to the U.S. economy, similar results could significantly increase prosperity at the national level. Examining the issue on the state level can also help illustrate how refugees play a role in economies. Michigan, the nation’s fourth largest destination state for refugees, has experienced a steady increase in refugee populations over the last ten years that helps combat the overall population decline. By 2030, Michigan will be one of the nation’s oldest states, thus the many youthful refugees arriving will be able to contribute to the labor force and support the local population. Not only does this population boost help stay the effects of rapid population loss, but it will likely be instrumental to supporting Michigan’s economy during this demographic transition. In addition, refugees have been shown to revitalize industrial centers such as Utica, New York. Although U.S. refugee policy is made at the federal level, there is significant variation in the costs of refugee integration by state and therefore refugee impact on communities. In order to benefit most significantly from refugee populations, cities and states can implement policies that remove barriers to successful resettlement. For example, cities and states can provide adequate funding to civil society organizations that speak refugees’ native languages in order to help them navigate the new environment. Based on a study of Cleveland, the economic impact of refugees is expected to increase with investment in social supports such as specialty refugee service providers. Other public policy recommendations include investment in functional and efficient public transit systems and public grants for entrepreneurs. Facilitating the integration of refugee populations can allow newly resettled individuals to quickly become familiar with their surroundings and develop the agency to innovate. While the debate over refugee admission continues to divide American politicians, the benefits of refugees to the overall American economy presents a strong case for increasing admission ceilings. Even under the current goal, cities and states can implement the aforementioned policies to increase the benefits to society of existing refugee populations. Although many factors surrounding the question of refugee admission are non-economic, increased evidence of economic gains created at the local level may persuade future administrations to support the resettlement program. Last modified on Apr. 3rd at 2:28pm by Cindy Reyes.